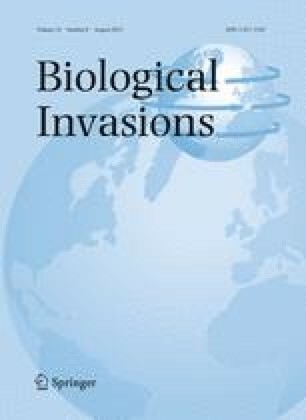 Managing the threats posed by invasive alien species currently may involve a mixture of species-specific and pathway-specific policy and operational measures aimed at achieving a socially acceptable level of protection. In order to decide how to allocate scarce biosecurity resources in a manner that avoids erecting technical barriers to trade, it is necessary to undertake risk assessments for individual pests or commodity pathways. Whilst there are popular climatic niche tools available to project future pest risk in terms of a species’ potential distribution, the international legal frameworks as yet have no explicit means of including future risk considerations arising from projected climate changes. Nor are there any tested and accepted tools for projecting shifts in geographic pest risk, or systematically identifying future pest risks. I use New Zealand as a case study to demonstrate a method for identifying generic geographic pest risk to a jurisdiction under historical and future climate scenarios. Under future climates, the global area from which threatening pests could originate is set to increase. Pests from some regions that presently require warmer conditions than can be found in New Zealand are likely to become a future threat. These pests will probably originate from regions presently experiencing a sub-tropical climate. As climates warm, regions that have previously been too cool to pose a pest threat will start posing a threat, particularly from rapidly dispersing ruderal species and other generalists. Taking all of the different types of threats into account, the largest increase in risk area for New Zealand appears to be in northern Europe, North America and Asia. This technique can be used to alert biosecurity pathway managers about the shifting direction from which climatically suitable biological invaders may originate, and can also be used to generate pests lists for species that are presently unsuited to the jurisdiction, but may in the future become so if global temperatures rise as expected. The results highlight the need for adaptive biosecurity systems that can recognise and assesses future risk trends, monitor these trends, and are able to respond rapidly to changing threats. The online version of this article (doi: 10.1007/s10530-011-0033-8) contains supplementary material, which is available to authorized users. Drs Trevor Booth (CSIRO), Laura Fagan (NZ Plant & Food Research) and Craig Phillips (NZ AgResearch) gave helpful comments on the draft manuscript. Neil Alexander assisted with importing and transforming the climate change data. Gunter Maywald modified CLIMEX to enable it to run region-matching analyses. This work was partly funded by New Zealand’s Foundation for Research, Science & Technology through the Better Border Biosecurity (B3) Programme. http://www.b3nz.org/ and by the European Union 7th Framework Programme project PRATIQUE (Grant Agreement No. 212459).